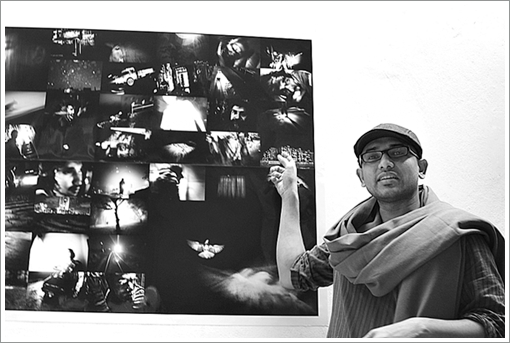 Born in October 1981, Sohrab Hura is acknowledged as one of the most exciting new generation photographers in the world. Indian by birth, he sees the world as a place of real human stories, and brings in his experiences as an economist to expose the human dimensions in economic movements. Through his lenses, Hura believes it’s important to remain honest and share stories where personal connections are indelible. His work was exhibited at Chobi Mela V, and he returned to Dhaka this year at Chobi Mela VI to conduct a workshop for students from Pathshala South Asian Media Academy. 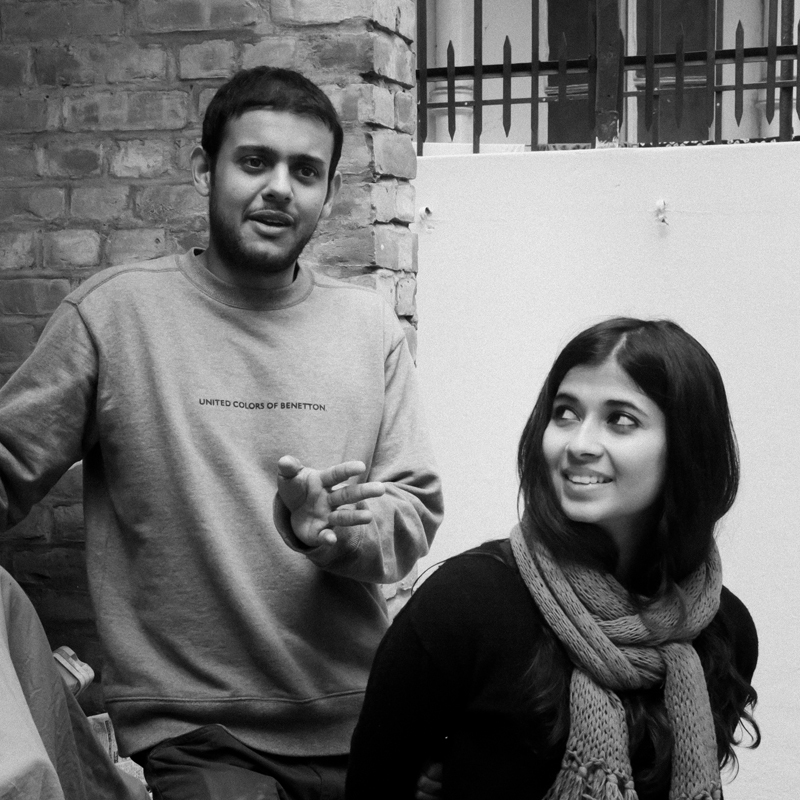 We met at Pathshala on a lazy afternoon while his students were busily preparing their work for a ‘street exhibition’. Hura encouraged his students to move out of the box of exhibiting photographs only in galleries or defined spaces, and make it available for public viewing – even if it were only a fun experiment. Yet, I felt an irony. Hura is a self-taught photographer who has not been to any formal school to learn photography, yet finds himself ‘educating’ photography students. How does he see such contradicting pieces fitting into the picture? As the evening sun was setting in, we could hear the bustling of the students outside. It seemed they were ready to show their work and had already gathered some audience. Hura’s experience with photography amongst the younger generation in Bangladesh was limited, but he recalled his time in Pathshala as intriguing. In what regards does Sohrab Hura – being young and dynamic – perceive the nextgen photographers from Bangladesh? A storyteller at heart, Hura shares how photography has changed for him over time. From being intrigued to recording personal incidents to finally settling into an international standard, and recently into a more emotionally connected space – he feels his journey has been privileged, interesting and surprising at the same time. In his work, he prioritizes context over other photographic aspects, and feels that one should remain clarified about their intentions before actually beginning to photograph a story. A strong base will certainly guide the story better. The crowd outside was getting noisier and I could feel Hura’s excitement rising. The random pedestrian is an audience without baggage and often the most difficult viewer to communicate with. Both Hura and I were beginning to get anxious to witness how people were reacting. While we sipped the last bit of cha in our cups, Sohrab Hura summed up our conversation. On a final note, what advice would he give to aspiring photographers? One day in 1946. 11-years old Pedro Meyer receives a present from his father. It’s a camera. Intrigued, Meyer begins taking pictures. Over time, pictures become his becoming, and a legend is born. 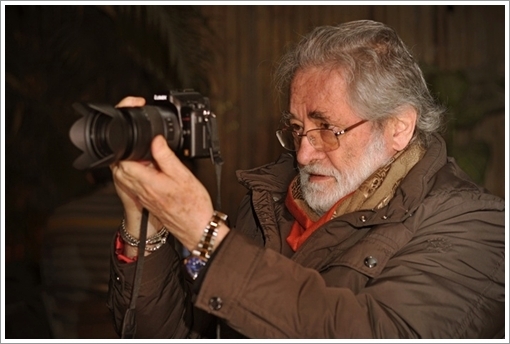 Pedro Meyer is lauded as one of the most innovative and accomplished photographers across the globe. At the forefront of the digital revolution, he launched the first ever CD-ROM that combined sound and image to produce an emotional photo essay (I Photograph to Remember) depicting his parents’ lives, then suffering from terminal cancer. In that sense, many contemporary artists consider him the ‘digital guru’, a bridge between the analogue and digital era of photography. 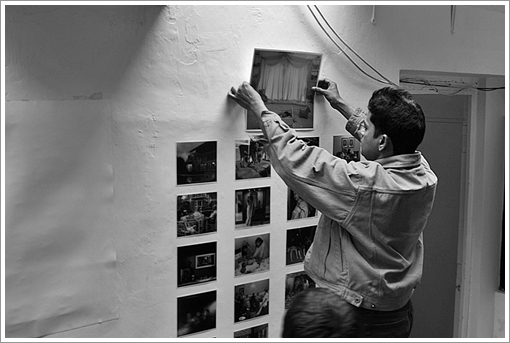 In 2004, Meyer set himself to host the first world wide simultaneous retrospective. The project, titled Heresies comprised over 60 simultaneous exhibitions in 17 countries around the world. This year, Pedro Meyer is a visiting artist at Chobi Mela VI who is also conducting a workshop on Digital Application in Contemporary Photography at Pathshala. 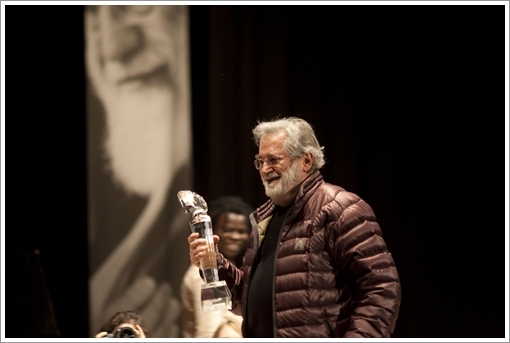 He is currently based in Mexico and received the Chobi Mela Lifetime Achievement Award in 2011. On meeting him at Goethe-Institut a couple of days back, I was immediately struck by his energy. His ability to immerse into a conversation and be intrigued consistently put us into ease. We discussed photography, art and storytelling. An obvious query was his decision to continue taking still pictures, when clearly a combination of sound and moving images could produce dramatic motion pictures or videos. That being said, does digital photography allow the same intensity of personal attachment between the photographs and the artist? A 2010 editorial piece from ZoneZero (the online photography platform that Meyer founded) eloquently summarizes his take on the boom of “photographers” everywhere. He feels gratified and elated with the fact more people are taking interest in pictures. In his opinion, any simple image – years from now – maybe an important document in history. “So, what makes a photograph the photograph?” I asked. True, the way we perceive our surroundings change over time. Yet the restless dynamism of the 21st century makes me wonder whether we’re changing too fast. The younger generations experience rampant mood shifts. What would Pedro Meyer’s advice be to the next generation of photographers? How will they keep up with the rising demands of the world around them? As we continued exchanging perspectives, Meyer enthusiastically took out his camera and began explaining how fast technology was progressing. The possibilities were exciting! Pedro Meyer’s magnanimous persona comes from his curiosity towards the evolving events around him. He believes in learning something new each day. Though the world has much to learn from his unwavering wisdom, Pedro Meyer lives in the moment and grows with it, thus making him the extraordinary visionary he is. This year’s Chobi Mela features more students and ex-students from Pathshala than in previous years, and this is only a reflection of the high quality of work that is being produced in the institution. The new breed of photographers is more dynamic and experimental, breaking traditional approaches and encapsulating intimacy and personal connection in their respective stories. An exemplary work from this lot would be Syed Asif Mahmud’s “My City of Unheard Prayers”. 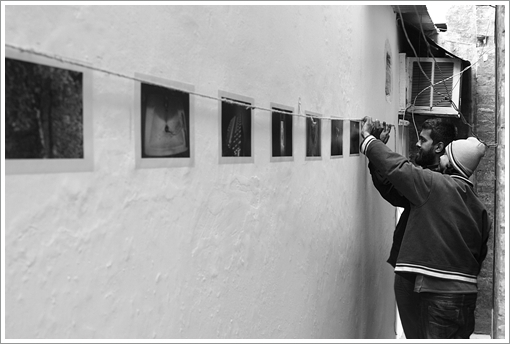 Mahmud is a second year student from Pathshala exhibiting at Bangladesh Shilpakala Academy during Chobi Mela VI. His work is a series of images that represent his perspective on a metro life and over time, has developed into a personal account of his becoming in the chaos of an urban jungle. Although he has spent most of his life outside Dhaka, his work focuses on Dhaka and the journey he feels entangled in with his friends, thoughts and emotions. On the other hand, Mohammad Anisul Hoque – also a student from Pathshala – tells a very different story. His work is selected for a digital exhibition at Goethe-Institut Auditorium on 23 January, titled “High Life”. Hoque holds a degree in botany and enjoys taking family pictures. His work is a selection of photographs that reflects the comfortable urban lifestyle of an affluent family in Dhaka and he portrays the various shades of colour and glamour in their lifestyle. Tushikur Rahman joined Pathshala during Chobi Mela V. In two years, he feels tremendously humbled and thrilled to have picked up so much from the institution. His work “Fatalistic Tendency” portrays an amalgamated state of mind engulfed with depression, suicidal tendencies and the death of dreams, and was one of the digital exhibits at Goethe-Institut Auditorium tonight. 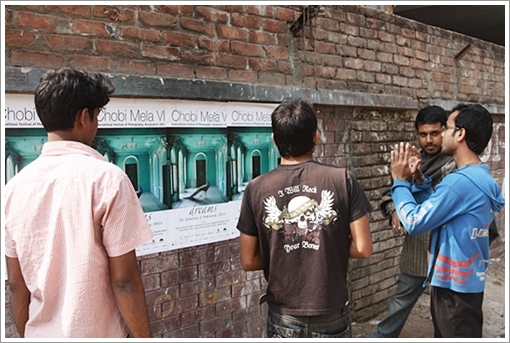 Only a few hours remain to the grand opening of Chobi Mela VI – the unique international photography festival of our time. Everyone is bubbling with excitement. The festival not only attracts photography connoisseurs and students from around the globe, but also becomes the talk of the town. To make things fun, we went around Dhaka and virtual social networking platforms to find out what the aam janata (general public) has got to say about this year’s exhibition(s). We told him how the mobile exhibitions provided everyone with an access to the festival, but Shah Alam remains unconvinced. On the other hand, 32-year old Ariful Zaman works at a private bank and enjoys doing nature photography. He is a regular Flickrite – one of the largest online platforms for photo sharing and showcasing – and tells us how Chobi Mela instills a sense of pride in his heart. Speculations are high and everyone is anxious. What will Chobi Mela VI be like? How will photos share stories of dreams? Where to go and what to see? Chobi Mela has been growing each time and on its 6th season, it brings together thoughts, images and stories that keep civilizations alive and with life. At a time of chaos and divide, dreams are what holds us together – and Chobi Mela VI promises to deliver diversity and unsung stories of time.